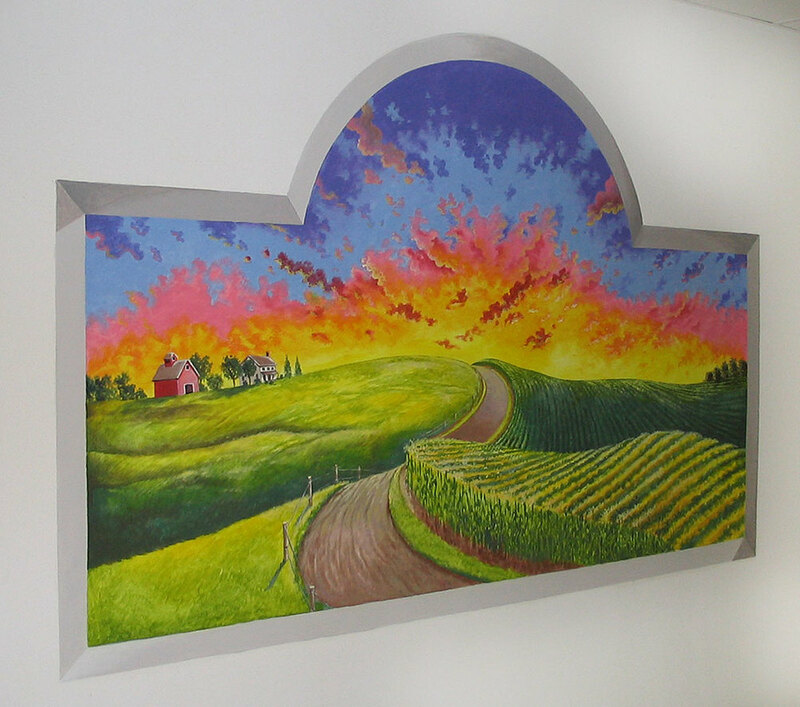 Murals in hospitals and medical facilities serve an important function. 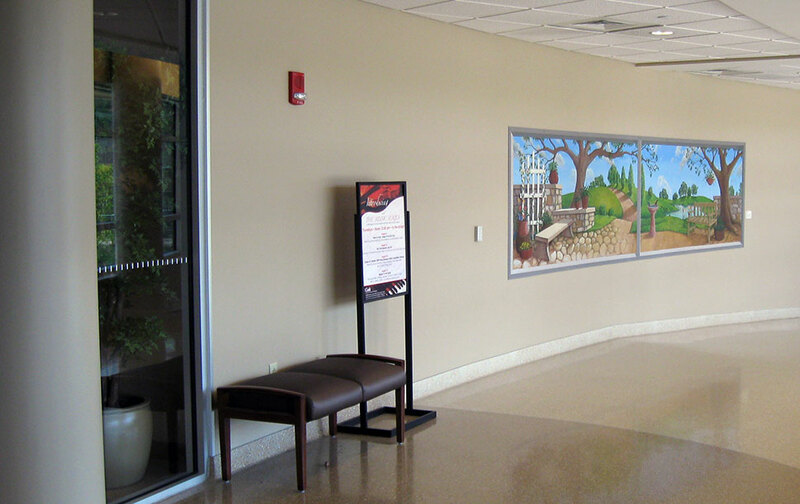 Institutional environments typical of examination areas and patient rooms can be softened and given a less clinical feel by transforming these spaces with murals. Since each facility is different, a personalized site evaluation is often the first step before mural painting activities commence. 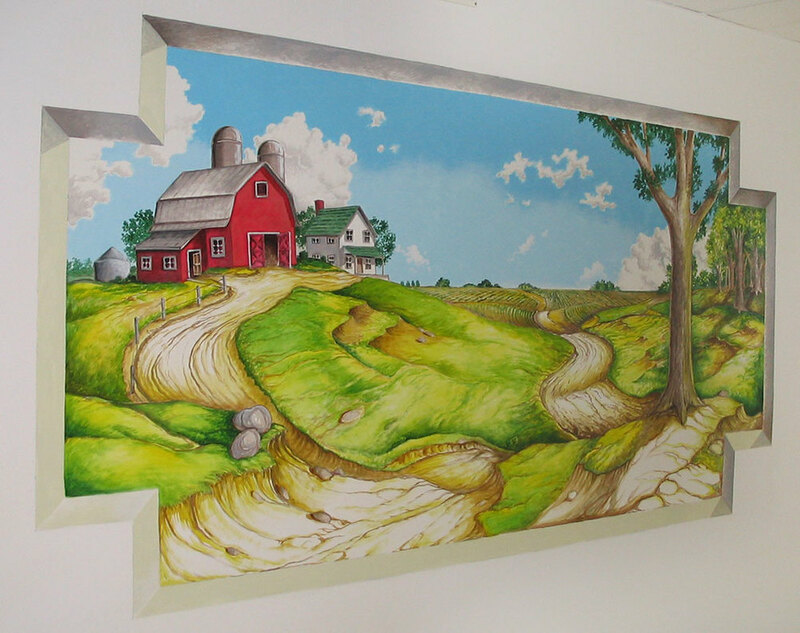 Through meetings and preliminary designs I strive to offer each locale mural treatments that will turn hospital interiors into "patient friendly" environments. Ceilings in operating rooms and linear accelerator areas can be transformed into soothing, cloud filled blue skies. Reception and waiting rooms become more inviting to adults and children during long waits. 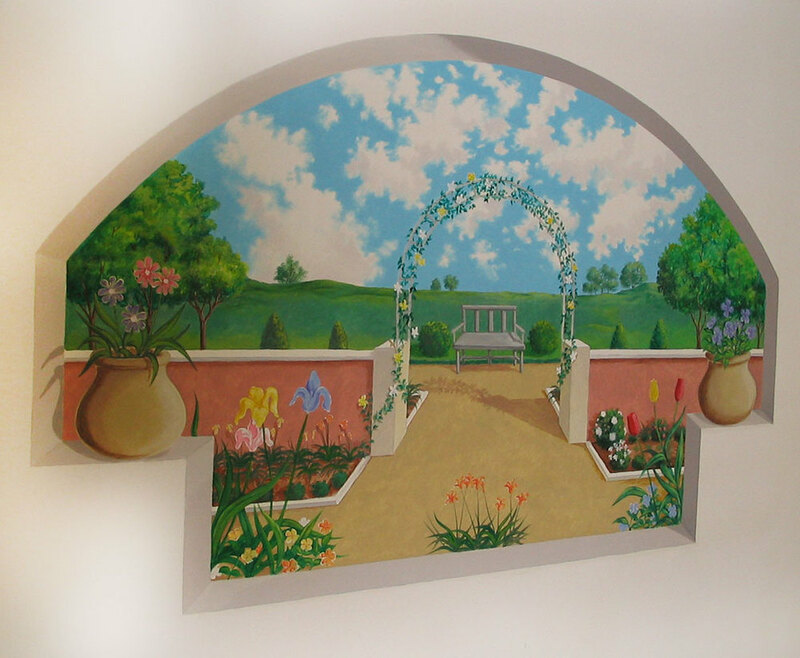 All mural surfaces are painted with low odor acrylic/latex paint and given a final treatment with an acrylic clear coating so that the surface stands up to hospital cleaning standards. 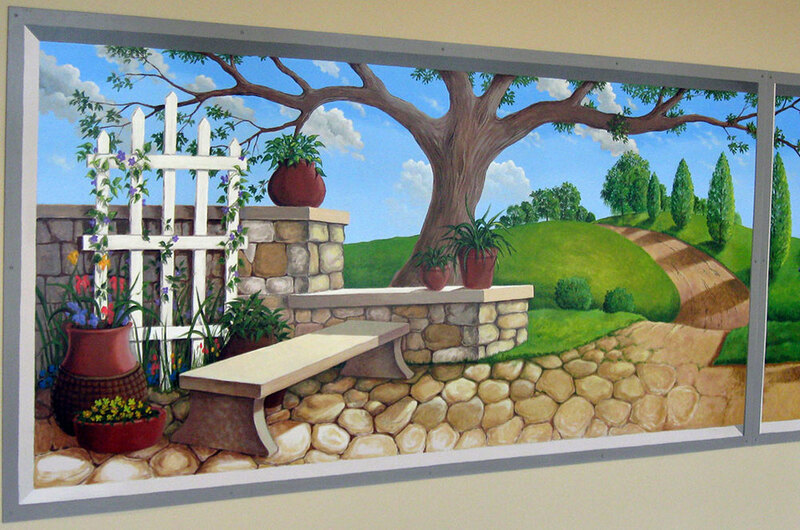 This emergency department waiting room mural was designed to include objects and clues for children to look for and to occupy their minds while waiting.